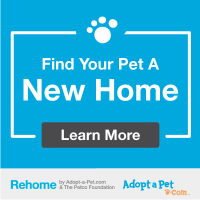 Shaw Pit Bull Rescue is proud to be a Partner for Pets! The Bissell Pet Foundation has awarded us a grant in the amount of $2,040.00 to help us provide FREE VOUCHERS to pit bull owners that may otherwise not have the funding or desire to have their dogs spayed/neutered. With their help, we can help make an impact on the issue of over-population. On behalf of The Humane Society of the United States, we are pleased to inform you that the Shaw Pit Bull Rescue has been chosen as a grant recipient. We congratulate and applaud the efforts of the rescue for taking necessary action in the rescue on behalf of the dogs found severely neglected and part of a dog fighting case in Monroe County. A deposit in the amount of $1000.00 from the Annie Lee Roberts Emergency Rescue Fund will be sent to the account you provided to us, which we hope will help with the veterinary care of the dogs found on the property at the request of local law enforcement. We commend you for your commitment and assistance in coordinating the resulting rescue of animals in this case. Thank you for your work to alleviate suffering of neglected and abused animals. Shaw Pit Bull Rescue, Inc., a Columbus-based non-profit organization, has been chosen to receive a 2014 Governor’s Initiative for Volunteer Excellence Award for Outstanding Achievement by a Grassroots Volunteer Initiative and, in a separate honor, has been awarded a $1,500 grant from the state’s “I Care for Animals” program. Volunteer Mississippi, established in 1994 as the Mississippi Commission for Volunteer Service, chose Shaw Pit Bull Rescue from among 75 organizations that were nominated from around the state. Shaw PBR’s entry was submitted by Leslie Peel, director of United Way of Lowndes County’s Volunteer Center. The organization, along with 14 other award recipients, will be honored at the GIVE Awards Luncheon, to be held from 11:30 a.m. to 1:30 p.m., April 14, 2014 at the Mississippi Museum of Art, located at 380 South Lamar Street, Jackson, Miss. In a separate honor, Shaw PBR was bestowed with a $1,500 grant from the Mississippi Board of Animal Health’s I Care for Animals Car Tag Program, an effort that helps homeless, injured and abused animals around the state. This program is funded by the sale of car tags bearing the message “I CARE FOR ANIMALS” and the program’s logo. The grant will be used to pay for rabies vaccinations, annual and puppy vaccinations, and micro-chipping of the dogs. Shaw Pit Bull Rescue, Inc. announced that the organization has been awarded a $1,500 grant from The American Society for the Prevention of Cruelty to Animals ®. The funds will be used towards the care and housing for the 30 dogs that are in SPBR’s care as a result of the Montpelier hoarding case in June of this year. Shaw Pit Bull Rescue, Inc. is a Mississippi non-profit 501(c)(3) tax-exempt corporation organized in 2012 and located in Columbus, Mississippi.